CARRERA are releasing a couple of USA Limited Edition cars in October. 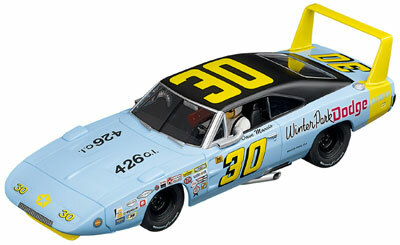 The Dodge Charger Daytona is always a favourite and the new livery on the Winter Park Dodge car has race # 30. 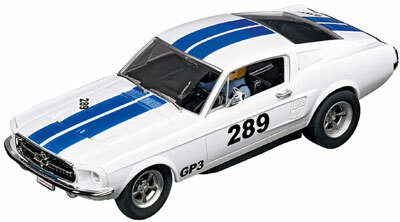 The Ford Mustang is in traditional Ford racing colours of white with blue stripes with a racing # 289 derived from the engine capacity.